LOOKING FOR THE ROAD CONDITION REPORT? PLEASE CLICK HERE. 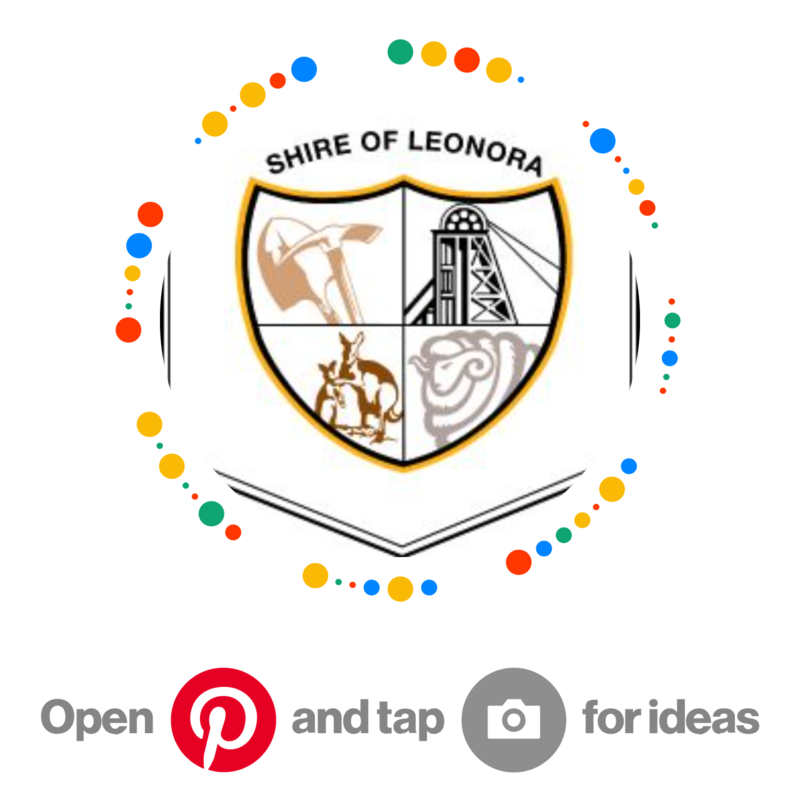 "The Shire of Leonora have not let their remote location stop them from tackling big projects. The completion of the five-year $3.3 million Gwalia Upgrade Project is their biggest heritage achievement to date. The project aimed to deliver an ambitious works program at Gwalia, including the conservation of Gwalia's Historical Precinct, Museum and Hoover House, reconstruction of the historic timberheadframe and preservation of the Gwalia settlement's 22 traditional miners' cottages. 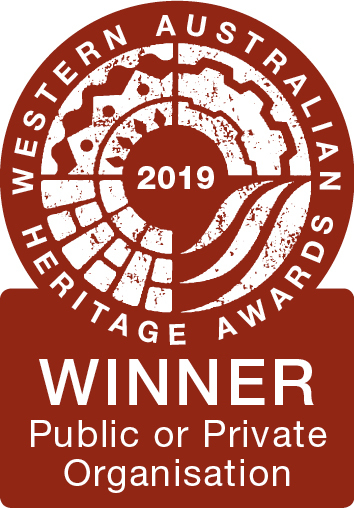 The judges believe the completion of this conservation work ensures Gwalia's place as an important heritage and tourist destination in the future." -Hon David Templeman - MLA MINISTER FOR HERITAGE. If you are experiencing issues with local TV reception, please let the Shire of Leonora know as soon as possible - the sooner we can investigate the source of the problem, the sooner we can get your favourite shows back on the box. Please note: Transmission of ABC programs are not the responsibility of the Shire of Leonora. This remains the sole responsibility of the Australian Broadcasting Commission. If you notice any streetlights out, on your street or just around town, make sure to report it. Make sure you have a rough address at least, and if you can make note of the faulty streetlight(s) pole numbers it will really help Horizon Power address the faulty streetlight as quickly as possible. 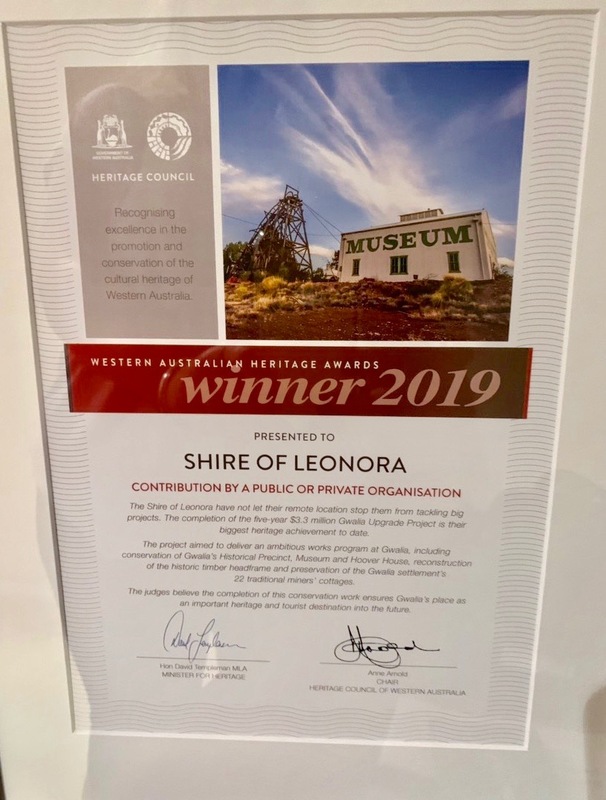 The Leonora Golden Gift is held once a year over the June Long Weekend. 3 Days of fun and excitement, including horse races, markets, fireworks and a community concert. Please follow the links to the Golden Gift Website for further information and, if you're up for the challenge, register for the Foot Races! Prospectors, make sure you come home safely to your family and friends. Leonora Police in partnership with the Department of Mines and Petroleum and the Shire of Leonora encourage prospectors visiting the Northern Goldfields area to download and complete our prospector safety form. This form has been compiled for your safety and welfare and the information contained within the form will be confidential and only used in cases of emergencies. Forms can be returned to the Shire office, DMP Leonora or Leonora Police Station in person, post or email. Leonora Police can be contacted for further information 08 9037 6100. Leonora.police.station@police.wa.gov.au. For more information on how to stay safe when prospecting, click here. Please ensure you muzzle your four legged friends at all times when out bush.